I wanted to share with you my story. 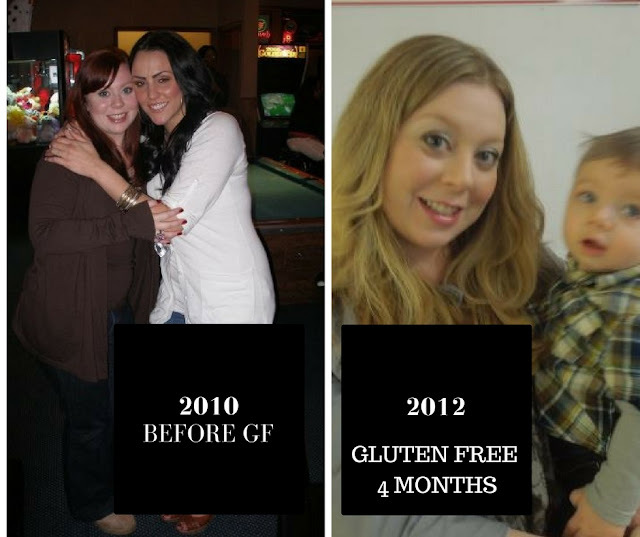 This is why my family and I are gluten free and it what it took to start this journey of health. I’ve been watching so many others suffer from some of the same things I suffered from before going gluten free, because it can feel intimidating at first, but taking control of your health must be your top priority. This post contains affiliate links. This website makes a small percentage of any purchases made through these links. Thank you for your support. I was a product of the 80’s and 90’s. No one cared what was in their food- only the taste and convenience mattered. My grandma primarily fed me and she cooked everything from scratch, so I am blessed for that. She did however feed me things like spam, vienna sausage, and potted meat. Cakes, pudding and Jell-O always came from a box. My mom did not cook much at all since she worked fulltime. Meals at her house consisted of hamburger helper, canned vegetables (if served at all), frozen meals, mac and cheese, pb&j and lots and lots and lots of McDonalds. I remember thinking food came in boxes. Fresh fruits and vegetables were few and far between at home, but my grandma always had fruit from people’s trees that they would give to her. It wasn’t their fault, back then no one knew that this wasn’t good for you. Easy and inexpensive was the way to go. Growing up I had multiple health issues, asthma and allergies being the most dominate as a child. Having used inhalers and having asthma attacks often, I contributed this to my mother being a smoker and being around second hand smoke. I do feel that it played a part in it, but it was likely the perfect storm of problems. My mother said I was allergic to milk as a baby, and it apparently caused a rash on contact, therefore I wasn’t offered milk a lot. I did however love cheeses and ice cream, but ice cream has always made me feel sick, so I never ate a lot of it. Things got worse as a teenager as far as stomach problems were concerned and I often had stomach aches and just felt sick from food in general. Junior prom was ruined about 2 hours after the pre-prom meal had been eaten and I left early and spent the rest of the evening sick. There was dizzy spells often, even fainting, but never thought that it could be caused by food- I thought I was just standing up too fast. As a young adult I started taking OTC antihistamines daily. My skin itched and I thought I was allergic to the world. I took Zyrtec daily for 5 or more years. I remember telling my mom about my stomach problems, but she didn’t intervene in my medical issues much and it was up to me to make my appointments, so I just toughed it out. It just got worse and worse as the years passed. Living daily feeling bloated, overweight and sick. At one point I even stopped eating cake at parties because I was tired of leaving the party early with horrific stomach cramping. I was allergic and I didn’t even know it. I thought that this was life. This was how I lived my entire life and knew nothing else. Finally, I was on my own and in my 20’s. Stomach issues came and went but, I was always tired and had headaches. 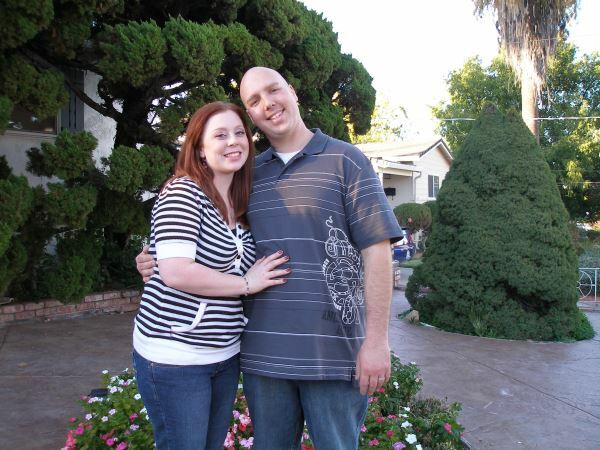 When I got pregnant with my son I formed a rash all over my arms that would not go away. It was horrible. Even after having him it did not go away. I always knew my iron was low but during my pregnancy they made me take iron pills for it. During the C-section I lost a lot of blood and with my low iron levels it concerned them. It took my milk a week to come in because of this. My stomach problems progressed, and I was constantly sick. I just lived with it. Spending each day pretending I was ok, but every day was a struggle. I was so tired, so so so tired. Even after 12 hours of sleep a night, I was still exhausted. Suffering from anemia, I couldn’t concentrate on anything for an extended amount of time (I contribute this to my lack of drive and motivation for some time). Brain fog, joint pain, constant headaches- daily. Before realizing gluten was the issue, I thought I was dying. I went to the doctor with a long list of diseases I could be suffering from. 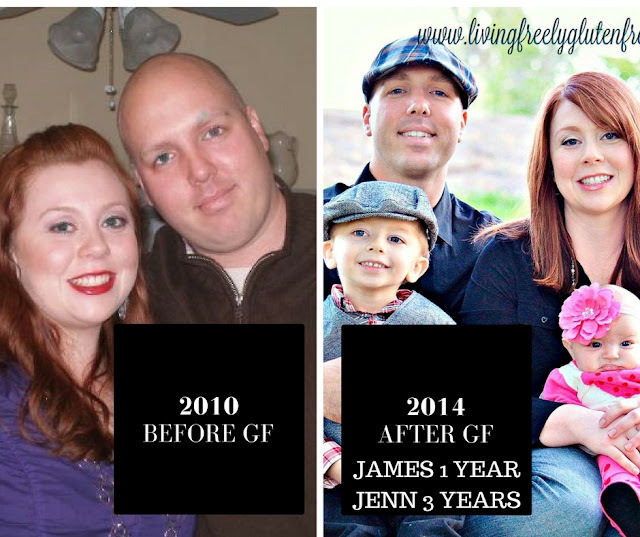 Thyroid, cancer, crohns, Lyme disease, lupus… I was sure I had something going untreated. The doctors thought I was a nut job. I switched doctors THREE TIMES and all 3 thought I was a nut job. When my son was about 5 months I was looking into solids and wanted to have an idea of symptoms of food allergies in case he might have one. I came across gluten allergy and celiac disease. I had no clue what gluten even was prior. The term “gluten allergy”, was foreign to me. Somehow though, I had every single symptom of this “gluten allergy”. How is this possible? How does something like this not come up in the trillions of allergy tests I had done throughout my life? Why would the doctors not say something?!!!! I was angry and scared and I felt alone. Not one single person I knew had a gluten allergy. My gluten free journey began the next day. The first week I made a lot of mistakes. It was in things I didn’t even think about like oatmeal, salad dressing, sauces, and marinades. Geez, why? It felt like had no one to turn to, not even a doctor. No support system or community. Having loved to cook and bake, I was now scared to even try. I thought I would never eat the food I loved again. This made me begin to feel depressed. That was when I began to mourn the food I loved. Thinking; maybe this is all in my head? No one believed me anyways. Having to explain to people why I couldn’t eat something was something I dreaded to do. Then I had to hear the comments, “You can’t have a little bit?” “Just a little won’t hurt” “One bite won’t kill you” “Don’t be rude, they made this for us” “I could NEVER be gluten free” “That’s horrible, I LOVE gluten” “Ha, ha. Your gluten free and I am gluten full”. These just go on and on. After being gluten free for 2 weeks, I felt good! My stomach felt great, my rash was getting better and I thought “Maybe I am not allergic”, so I ate a slice of gluten filled pizza. 2 hours later I started puking, then it was coming from both ends. I spent the entire night that way. It took 3 days before the fog started to lift. Right then and there I knew that this was serious and my life would change forever. You kind of go through the mourning process at first. First your body has to detox and that is hard. Fatigue, upset stomach and headaches are a few side effects of the detox process. Once that is over you feel deprived and sad, then angry, then you start to accept it. After 6 weeks of being gluten free I had my life back, feeling better than I ever had in my entire life. I had energy, my skin felt well, my stomach felt great. For the first it felt like I was alive and that was when I decided to start trying to cook and bake again. Once I started playing with flours and recipes, I realized that I was going to live a life full of the foods I loved and I could be healthy at the same time. That was also the time I started really reading food labels and question what was in food, because of that I started transitioning preservatives and chemicals out of our diets. When shopping I started buying as much organic as I could afford and used the dirty dozen as a starting point. At that time there were still very few resources in the gluten free community, and that was when I started this blog. It began as a journal of my experiences and recipes I came up with. I had no clue how to blog, or do anything with it. The blog was just a fun hobby to keep track of recipe creation. After about 6 months of being gluten free (I was the only gf person in my house) I notice my 1 year old son having loose stools. He also was having night terrors and horrible, horrible tantrums. I had read about gluten affecting behavior, so I took him off of it and started a food journal. He spent 2 weeks on a gf diet and he was sleeping through the night, even his tantrums became the normal fits a toddler might have. 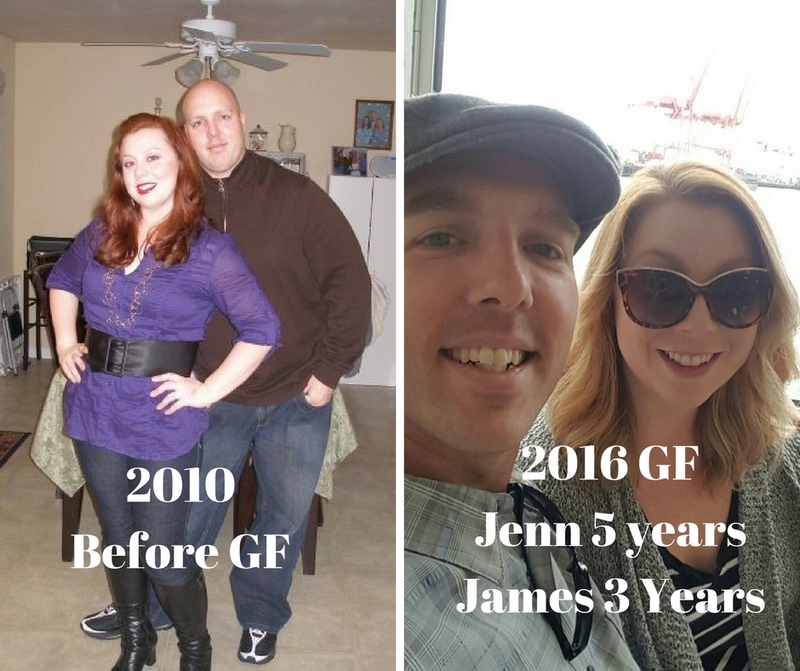 We have witnessed throughout the years now what gluten can do to his behavior because he has gotten it on accident here and there. My daughter turned out to be lactose intolerant. What the doctors and I assumed thought was colic, turned out to be a lactose issue. Once her formula was switched she started to sleep and be happy. She was always crying, never slept and never was happy. The poor thing was hurting. We have tested out dairy a few times since then and it has always caused her to vomit. I recently stopped eating dairy/lactose about a year ago and I feel a lot better. 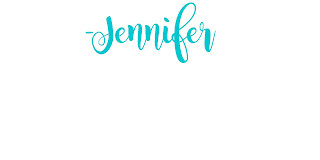 Fast forward to now and I have been working full time on my blog for over 7 months. I am growing it and trying to reach out to as many people as I can. This is my passion and I LOVE it. Everyone needs to know that being healthy is a wonderful feeling and it’s not difficult. I want to bring delicious healthy recipes and lifestyle tips to everyone and inspire them to get in the kitchen! If I can do it then anyone can do it! So, that is my story. Here we are a family that is 100% gluten free and half of us are dairy free as well. We make it work and now I can bring you the delicious recipes I am creating for my family.